Over the last three years, the Artists' Collecting Society (ACS) has awarded more than 45 prizes and bursaries to fine art students at universities and art schools, and over 11 prizes at various arts charities throughout the country. At the heart of the Artist’s Resale Right, and what we do at ACS, is the idea that artists and their estates should benefit from the increasing value of their work. After all, there would be no art without artists. This underlying principle is one of the reasons that ACS was founded as a not-for-profit, Community Interest Company (CIC). One of the many attractions for our members is the fact that any surplus income is locked into the company and used for the benefit of its member artists and the artistic community – with a particular emphasis on education, and the support of younger, emerging artists. ACS is passionate about supporting emerging talent. Since our inception in 2006, ACS has supported a number of worthwhile causes, charities and prizes such as the Artists’ Benevolent Institution (AGBI) and the Visitors’ Choice Award, London at the National Open Art Competition. Over the last three years, our CIC initiatives have more than quadrupled. Since 2010 we have delivered talks on intellectual property at universities and galleries throughout the United Kingdom and we have established three fully-funded artist residencies and partnered with more than 18 universities and art organisations throughout the country. You can find out more about ACS’ Materials Prizes & Bursaries below. The Royal Academy Schools has formed a key element of the Royal Academy of Arts since its inception in the 18th century. Since 2012, ACS has awarded a third-year student at the Royal Academy Schools with a £1,000 bursary. The award recognises exceptional talent and potential, and has been granted to artists working in a range of media. The Artists’ General Benevolent Institution (AGBI) financially supports professional artists in need and their dependents living throughout the United Kingdom who cannot work or earn due to accident, illness or older age. ACS has proudly supported the AGBI since our inception. Founded in 1814 by members of the Royal Academy of Arts including J.M.W Turner, John Constable and John Soane, the AGBI is one of the UK’s oldest charities. It is also one of the first organisations that ACS partnered with as part of our CIC activities. You can find out more about the AGBI here. ACS has offered an undergraduate prize of £1,000 to a second-year student since 2017. The ACS x City & Guilds of London Art School Undergraduate Prize has been awarded to artists working in painting and mixed media. ACS began its partnership with the University of Dundee in 2018 to offer one second-year undergraduate student a prize of £500 to assist with the cost of materials in their crucial final year. Since 2017, ACS has partnered with Falmouth University to offer one second-year student a £1,000 prize to contribute to the cost of materials in the final year of their undergraduate degree. ACS is proud to partner with Loughborough University to offer two second-year undergraduate students a prize of £500 each to assist in preparations for their upcoming graduate shows. The ACS x Loughborough University Materials Prize was founded in 2017. Since 2013, ACS has supported the Koestler Trust, a leading prison arts charity in the United Kingdom that has been awarding and exhibiting artworks by offenders, detainees and secure patients for over 50 years. The financial funding ACS provides supports the development of a variety of prizes, inspiring offenders to take part in the arts, work for achievement and transform their lives. Find out more about the work of the Koestler Trust here. ACS began its partnership with Manchester Metropolitan University in 2018 to offer two two second-year undergraduate students a prize of £500 each to assist with the cost of materials in their crucial final year. National Open Art (NOA) is the UK’s leading independent art competition, open to amateur and professional artists in the UK and Ireland. The ACS Visitor’s Choice Award was created to recognise talent and artistic excellence in a broad variety of artistic mediums and styles. ACS has been a proud sponsor of the Visitors’ Choice Award, London at the National Open Art Competition since 2013. ACS has partnered with Newcastle University to offer one second-year student a £500 prize to contribute to the cost of materials in the final year of their undergraduate degree. The ACS x Newcastle University Materials Prize is open to all second-year students enrolled on one of the University’s Fine Art courses. 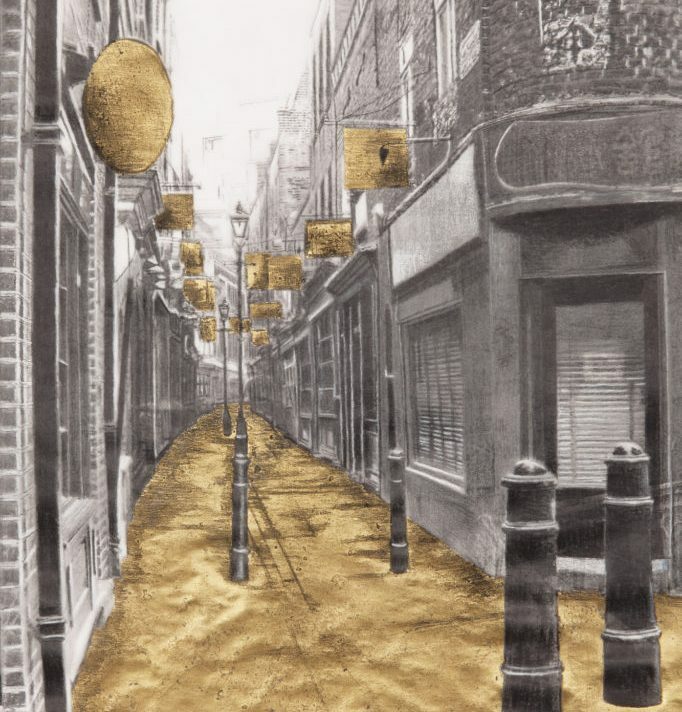 ACS has offered a prize of between £1,500 – £3,000 in financial assistance to a second-year Master of Fine Arts student at the Slade School of Fine Art (UCL) during their final year of study since 2017. The ACS Hardship Fund at Turps Art School is one of ACS’ most recent CIC initiatives. Founded in 2018, the Hardship Fund is designed to assist painters attending the Turps Art School Studio Programme who find themselves in financial difficulty. The grant was established in response to feedback from recent graduates who spoke of the difficulty of securing funding. Turps Art School is an artist-led painting programme that is often described as the ‘renegade art school that proves painting is not dead’. The School was founded in 2012 to provide a dynamic structure of mentoring, peer-led learning, talks and visitors within an open studio environment. ACS has partnered with the University of Leeds to offer one second-year student a £500 prize to contribute to the cost of materials in the final year of their undergraduate degree. ACS is delighted to partner with the University of the West of England, Bristol to offer one second-year undergraduate student a prize of £500 to assist in preparations for their upcoming graduate show. In 2012 ACS began sponsoring the Young Masters Art Prize, which celebrates an eclectic array of contemporary artists working with traditional methods. The partnership has provided important career-building recognition and exciting exhibition opportunities for a wide range of emerging artists. ACS is delighted to fund a prize which is awarded to two highly-commended artists who combine skill and innovation with an awareness of art history. ACS was delighted to partner with Kingston University London in 2017 to offer two second-year undergraduate students a prize of £500 each to assist in preparations for their upcoming graduate show.